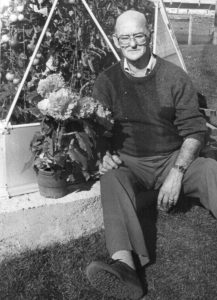 Collection of items belonging to the Tiree Agricultural Society, 1988-1990: (1) typed schedule for the Horticultural section of the Tiree Agricultural Show, August 1989, (2) letter from Donald Harrison of the Scottish Agricultural Colleges Advisory Service (SAC) to Grace MacKinnon of the Agric. 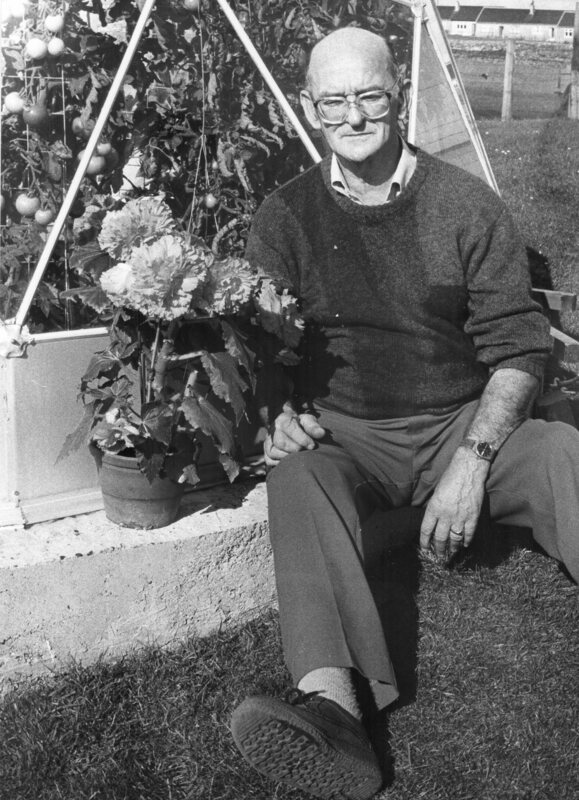 Society, 1990, (3) declaration – ‘movement of sheep which have been dipped’ signed by Pat Boyd, Kenovay, 1988, and (4) black & white photograph of Mr R Cameron. 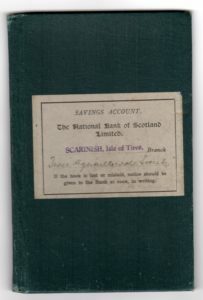 Savings account book issued by The National Bank of Scotland, Scarinish, to the Tiree Agricultural Society, 1949-1988, and a typed summary of income and expenditure for Tiree Agricultural Society, 1986. Handwritten Income / Expenditure ledger for Tiree Agricultural Society, 1954-1988. Includes auditors reports and signatures. Handwritten Income / Expenditure ledger for Tiree Agricultural Society, 1911-1953. Includes auditors reports and signatures.